Interventions are face-to-face meetings between a person abusing drugs or alcohol and people who are affected by that abuse. Family and friends can stage drug or alcohol interventions or seek help from a professional interventionist. An intervention comes with serious risks that you should consider before carrying one out. An interventionist can help manage these risks. If the intervention doesn’t work, let the person cool off, try to re-establish contact and use a different approach. Not sure whether you need to do an intervention? Look for warning signs of addiction such as changes in weight, poor personal hygiene and evidence of theft to obtain drugs or alcohol. An intervention is a professionally directed face-to-face meeting between a substance abuser and people who have been affected by that person’s abuse-generally family, friends and sometimes employers and coworkers. The goal of an intervention is to motivate a substance abuser to seek help with his or her drug and/or alcohol problem. Who Answers? to discuss available treatment options and find a drug intervention program that is right for your needs or the needs of your loved one. If you are concerned about a loved one’s substance use, you may want to arrange an intervention. This can be done informally or formally. An informal intervention involves a conversation with the person who is using. It can be as simple as asking a few questions about their use, expressing concerns in a non-confrontational manner, or simply stating a couple observations. Informal interventions can be useful for less severe cases of substance use. But a formal intervention is generally a more successful option because a professional who has experience with treating substance abuse directs it. Gather together important people in the substance abuser’s life. These can include family members, close friends, employers or coworkers, and religious advisors. Meet with a professional who will direct the intervention. This person could be a therapist, substance use counselor or interventionist. This professional will educate the intervention group on substance abuse, what to expect during and after the intervention, and how to communicate your messages to the abuser. Finally, the professional will help everyone organize a meeting with the substance abuser. Concerned individuals will express their love and care for the user, how the person’s substance use has negatively impacted them, and that they will no longer overlook the harm that the user’s substance problem is causing. They will urge the user to admit that their substance use is a problem, that they need help, and that they will seek help immediately. These interventions can have significant implications for relationships, which is why having a professional involved can be extremely beneficial. The goal of an intervention is to motivate the user to get help with their substance use problem immediately! A promise to stop using is not enough. Use “I” statements (for example, “When you get drunk at home, I feel afraid.”). Identify objections and denials that you might expect to hear from the user and be prepared to address them. Be specific with the consequences if the user refuses to get help, and be prepared to follow through with them (for example, “If you will not enter treatment, I will no longer live in the same house as you.”). Have a treatment option selected so that the user does not delay seeking help. Interventions do not work for every family or individual. Talking with a professional about your situation will help you determine whether an intervention is the right course of action. An interventionist is a person who is trained in organizing and orchestrating effective interventions. They have the educational background and experience necessary to conduct a productive intervention. Look for the certifications BRI I and BRI II when seeking an interventionist. The Association of Intervention Specialists (AIS) is one of the most widely accepted certification boards for interventionists. To become an AIS Board Certified Intervention Specialist, members must demonstrate ample experience in the field of intervention as well as the proper educational background to support their counseling career. AIS has two levels of interventionist certification: BRI I and BRI II. The second level, BRI II, represents more experience in the field of intervention than the BRI I certification. Look for these certifications when seeking professional help with organizing an intervention. To find an AIS Board Certified Intervention Specialist in your area, check out the list of certified specialists in your state. A professional drug interventionist can help you orchestrate a meeting to try to help the addicted person admit his or her substance abuse and seek treatment. The interventionist facilitates and supervises everything that takes place in an intervention. The interventionist will often meet with family members and friends of the affected individual prior to the intervention. During this preliminary meeting, the entire group will work together to design an approach and rehearse the intervention strategy. This may include preparing individual letters that detail personal experiences or describe pain that has been caused by the addiction. As part of the intervention process, the interventionist will present treatment options and intervention approaches to the individual. There are many treatment options available today, including inpatient residential and outpatient programs. Although some addicts do recognize the problems their addiction has created and seek treatment and recovery on their own, this is not the case with everyone. Many people are unable or reluctant to recognize that their substance abuse is responsible for the problems they are experiencing at work, with their health and in their relationships. In some cases, individuals suffering from substance abuse may blame circumstances or other people for their problems. When this happens, a trained interventionist can help to break through this cycle of denial and help the individual recognize the effects of his or her substance abuse. Fights with friends and family members. Promises to get help that are not kept. Evidence of theft or other crimes in support of ongoing substance abuse. Denial of drug and/or alcohol use. Learn more about alcohol and drug recovery programs. Several intervention services are available, and the type of drug intervention service you select will depend on your situation. For instance, if you are concerned that a coworker may have a drug or alcohol abuse problem, a corporate intervention may be a viable solution, where only employers and coworkers are present. Alternately, if you have a family member who is currently battling addiction, a family drug intervention may better suit your situation. This involves only the immediate family in the intervention process. Intervention services are also designed specifically to assist teens. These include Teen Intervene, which involves a therapist meeting alone with the teen at risk before the entire family meets together to discuss the teen’s substance use. The Johnson Intervention – The user is confronted by a group of people who care about them, and they discuss the negative consequences of the person’s abuse, including what will happen if the person does not seek treatment. One study found that the Johnson Model had a higher rate of success compared to four other intervention types. The ARISE Intervention – A less confrontational approach, where the user is involved in the intervention process from the beginning. This style emphasizes compassion and the group healing of both the substance user and the ones who care about them so that everyone works toward recovery together. Don’t confront someone when they aren’t sober. Don’t conduct the intervention in public. Don’t yell at the person – remain calm. Don’t try to do it alone – involve a professional. Arranging an intervention does not work for every situation. The process can be difficult and painful for everyone involved. Sometimes, the plan can backfire and the substance user may end up feeling alienated and distant from the ones who care about them. These risks should be carefully considered before deciding to organize an intervention. The help of a trained professional can help mitigate these risks. Interventionists are experienced in the risks and struggles that come with interventions, and they know how to best prepare to avoid these negative consequences as much as possible. Take a step back. 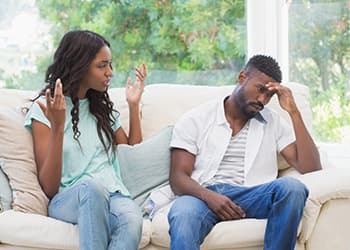 If an intervention backfires and the substance user feels anger or resentment toward those involved, it is best to let the relationships cool down before trying to make contact again. If you have clearly stated direct consequences of the user’s refusal to seek treatment, you must follow through. Reestablish contact. Once the user has had time to decompress, you may want to try and get in contact with them again. They may need reaffirmation that you care about them and their safety, but you must also emphasize the importance of treatment. Sometimes another intervention meeting can be helpful as long as the user is ready and willing to listen. Try a different approach. Instead of simply telling them to get treatment, approach them with specific programs and specific benefits of treatment. The goal is to motivate action to treatment, not promises to stop using. It is possible to break through the cycle of addiction. With the help of drug or alcohol intervention services, you can assist your loved ones in recognizing the effectsof their substance abuse and help them find the assistance they need. Call 1-888-319-2606 Who Answers? to discuss available treatment options and for assistance in finding a professional interventionist or substance abuse intervention program that is right for your needs or the needs of your loved one.